Originally this was going to be an article pertaining purely to States fallout; however, many board members professed an interest in a Vilegar update, so I decided to address both of these distinct topics. But even if they’re distinct, they’re not mutually exclusive – knowledge about Vilegar is essential to success in almost every metagame, no matter your deck choice; and, likewise, knowledge about your metagame is essential to how a Vilegar player ought to run the list. This is especially true since Vilegar has – after all the Lostgar hype – reemerged as the most prolific non-SP deck. 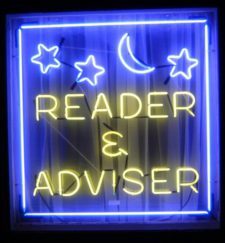 I highly encourage you to read both topics – it’s best read that way, but if only one topic interests you, then feel free to begin/cut off where appropriate. An Update to Vilegar: How Has it Changed? With States having been over for two weeks, it’s well past time to look towards the future: as of writing this article, we have less than ten days until show time!!! Be that as it may, it is our best course of action to reflect on which decks succeeded this State/Provincial/Territorial season. Below, you will find a breakdown of decks that top cut in each of the participating United States/Canadian Provincials, plus discussion of each of the resultant fifteen metagames. After this, I will cap off each region with one, two, or even three suggestions on decks to use. As you read through, notice that I didn’t break them down into “overall” categories, or into specific states; instead, I did it according to each of the fifteen Regions you will be playing in (if you’re American or Canadian). For qualification, let me state that I agreed completely with Mike’s generalized approaches: he chose the optimal way to analyze the diversity of Cities, and he chose just as solid an approach for analyzing the short-term gap between week one and week two of States. But now that we have some really hard numbers to work with from the entirety of the season, we have the capability to get specific here. And the more specific, the better. (Cite: the various posters of Pokégym in the “What won S/P/T…?” thread). “Diversity” is sufficient in characterizing the Northwest metagame and all that it holds. To make things even more interesting, not a single Luxchomp or Vilegar took home a medal! Most telling, though, is that Gyarados did almost nothing of note at any of these events. Given what we know about this metagame, I would highly recommend a Dialgachomp with an appropriate mirror game (by this I mean good colorless attackers, as well as a consistency card such as Chatot or Smeargle). Alternatively, if there’s something I’m not seeing, and I’m wrong about the Gyarados threat, run a Luxchomp with Dialga. You could even go with Machamp, standing a good chance at a deep run, or maybe even a win! Due to California getting two Regionals, this will be one of the hardest areas to read, especially since we don’t really know which Regional will get which player populations. Still, it’s safe to assume that Northern California will stay isolated, while Southern California is probably going to get its own, some Arizonians, and some Nevadans as well. Nevertheless, I feel like the stats are decently applicable to both regions. To say that California’s metagame is a wide-open crapshoot is an understatement: just play the highest quality deck that you know best, and a good showing ought to result. Some of the SP lists are fairly unorthodox, though, so keep sharp. The one crucial thing you need to get out of these statistics is that all of the Luxchomps came from Colorado, and everything else…From Utah. It’s fairly dichotomous, but also keep in mind that there was a strong Uxie donk showing in Colorado Cities, as well as some Mewperior. As a result, you need something that can go through the motions of rogue. That something? An SP+Vileplume-savvy Luxchomp, or Vilegar (potentially Vilegar with a Lostgar tech option). These may conform to what’s already won, but playing either well should get you far into cut. Do keep in mind though that there’s a good Gyarados showing, so if you go SP, make sure you can handle it. Sorry if you were expecting a feature-length film on my home metagame, but this is honestly all that there is to say! Those of you who took Chris Fulop’s word on his own metagame were right to do so, but one thing that shocks me is that Luxchomp took home no gold medals at all! Sure, the metagame has some of almost all the great decks right now, but it’s fairly interesting to A) see Machamp win out in a field presumably including Luxchomps that have seen the Premier Ball/Uxie solution, and B) see Dialgachomp win out against Luxchomp in Indiana for the title. Trust Fulop on the Machamp assessment: it’s definitely going to be out there, so be prepared. As for the deck? Once again, go a mirror-savvy Luxchomp with plenty of Premier Balls (2+1-2 Junk Arm), and you should do fine. BulbapediaThe big “Regionals Mystery ®” every year for the Midwest is where Illinois will head to, and this is no exception. Smack-dab in the center of three different Regionals, you could see some in Indy, some in St. Louis, and some here. I may not have Mapquest to back me up here, but my hunch is that, since the biggest Illinois bloc is in Chicago, expect a plurality of their players on Wisconsin’s doorstep. That said, you can expect this to remain the same…For the most part. I’ve play-tested Loxchomp some after States, and I can vouch for how awesome it is, but I’m pretty sure that the Wittz family was the only group to use it (Josh – if I’m wrong here, please let me know). So other than maybe the younger Wittz, you probably won’t see much of this deck; instead, you should expect more traditional Sablelocks. Maybe it’s really good Sableye SP mirror, or maybe it’s good Vilegars, but all I know is that Luxchomp is held down tightly in this region. I really feel like some Sableye-based SP list would be a good play here, so as long as you can withstand trainer locks of Spiritomb and Vileplume, things should go well. There’s plenty of Luxchomp, and plenty of Gyarados…But also note that Florida is the home of the original Sableye, winner of Florida’s state for two years in a row. I think this alone is enough to suggest that there should be some very solid Sableye lists come Regionals, but note that its two original innovators – Aaron Curry and Steve Silvestro – both moved on from it, respectively running Tyranitar and Gyarados. My recommendation? Although there are definitely going to be some surprises at this event, I’d go with a Luxchomp that is hyper-competent against Gyarados (Twins/Belt, and the playing to account for any counters), hyper-competent against Machamp (FL has a history of getting taken down by surprise rogues that capitalize on the #1 most popular deck! ), and hyper-competent consistency. 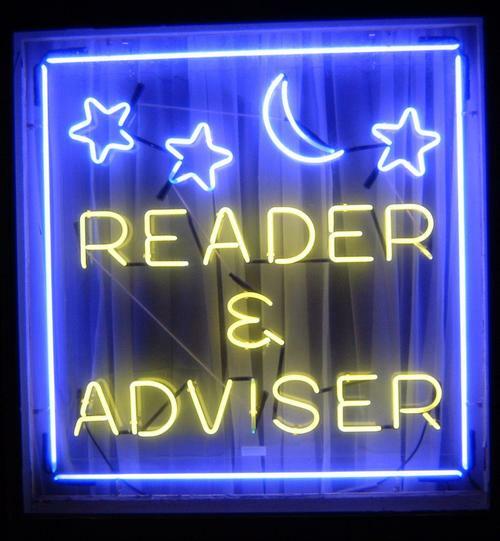 Also, if you know the unknowns, then edit my advice where appropriate. 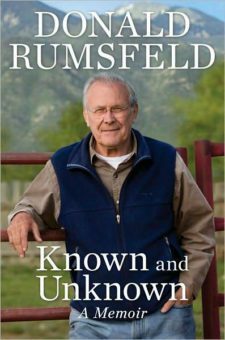 That way, they’ll be known-knowns, as opposed to, um…known-unknowns. These results look an awful like what we saw at the Georgia Marathon, don’t they? Well, other than the Regigigas lock deck Alex “BigChuck” B. did so well with, I think that these six decks do a nice job reflecting what your diverse metagame will be like. 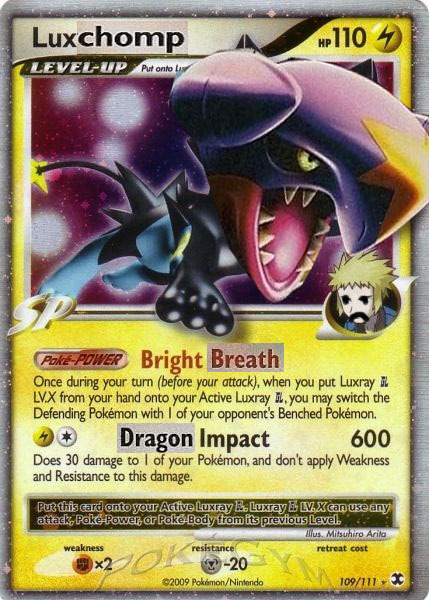 But despite that diversity, I’m going to go out on a limb and say that Luxchomp will come roaring back to win this event. I just can’t help but feel that it will capitalize on all of the wild rogues that will – or could – show up, even if weak matchups like Steelix show up to the event. So, since I think this event will be taken down by a Luxchomp, I recommend that it be you! If you didn’t have the Machamp and Steelix on top, then this would look like a very normal metagame…But then you do note them, and begin to sweat a little: you realize that this area has more successful Machamp than any other in the nation. 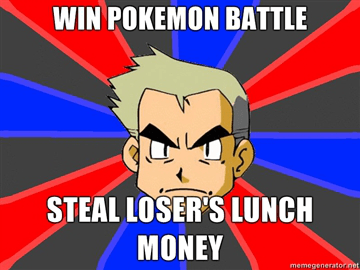 And I’d bet that if you were to lose with SP to Machamp anywhere, it’d probably be here. Granted, the same guy (former junior world Champ Curran Hill, now a Master) makes up two of those, but I’m sure the copycat syndrome could be out en masse due to his stellar showing. The slight showing for Chen Lock and Dialgachomp scare me a little, but I think that Vilegar with a Blaziken FB LV.X tech would do very well. PokeGymThere’s a bit of Gyarados; there’s a bit of Machamp. But your overwhelming threats appear to be Luxchomp, Gengar variants (soon to be discussed in parts two and three of this article! ), and a possible surge in popularity for Magnezone due to Frankie’s win. If I were going to this event, I’d highly recommend running a Dialgachomp geared to beat mirror. Drifblim FB, a good extra colorless attacker or two, and maybe even the Snowpoint strategy could make life a nightmare for SP players trying to play the regular Garchomp exchange game. P.S. I’m not sure if Maryland’s players will go to this event or Virginia’s. If they do indeed go to Pennsylvania, just watch out for some of that Steelix. Dialgachomp should be able to handle most of these, though. Okay, so here’s something that’s very interesting: not just Gyarados wins… Gyarados DOMINANCE! This high turnout for Gyarados in the final tables alludes to the closeness of its matchup with SP, and is the only area that realized such success for a non-SP list. My knee-jerk reaction is to suggest something like Lostgar or Vilegar that does a good job of countering that; however, keep in mind that your SP are going to be some top notch competitors – the other two winners in this area happen to be former national champions, and neither of them used Gyarados to do the deed. Plus, those good Sablelock showings aren’t a great sign for Gengar decks, and I don’t like its matchup versus either of those rogue decks . In the end, I’ll just recommend my personal mainstay: an SP-teched Luxchomp list with the consistency to survive a hard couple of Cyrus Initiative Heads (Chatot? ), and the Expert Belt/Twins techs to keep your Gyarados in tip-top shape. I’d reckon that they all play counters (Toxicroak G Promo, Mankey, etc), so if so, play those cards carefully. First off, a pat on the back to whoever reports from Western Canada…All Top eight decks from both provinces is very impressive! Anyways, other than the surprise Gyarados win in Eastern Canada, it looks like your metagame is homogenously SP. Since I too come from a homogenously-SP metagame, I suggest to just have as strong of a mirror game as possible; however, don’t make that happen at the expense of these Donphan decks, which could very easily capitalize on your unpreparedness. As stated above (and by other writers), the Uxie/Premier Ball combo works great against the Machamps, and solid access to Toxic Fang may be killer in your game against Donphan Primes. Although I was going to recommend Sablelock, the Gyarados win gives me pause to do so. If you know this metagame, and feel safe gambling that matchup, then Sablelock is a good bet…Or maybe even Loxchomp! As Curtis L.’s back-to-back wins of Quebec and Ontario attest to, the answer is clearly Luxchomp. It’s perhaps even clearer here than it is in the West, where you have more Machamps and Donphans to contend with: here, you can capitalize heavily on the simply shocking Dialgachomp count, which outnumbers Luxchomp two-to-one in cut. Who knows – you might even consider something that ought to have a very strong matchup against both, such as Chen Lock or Infernape/Garchomp! We haven’t solidly addressed the topic of Vilegar in some time, but due to the deck’s radical evolutions since the City season, as well as its relevance heading into Regionals, I deemed it an important topic to address. There’s a good reason the deck hasn’t received much attention: we on the Underground staff have never used the deck in tournament play, sans Jason Chen and Frankie Diaz. It isn’t that we’re lacking knowledge in the deck – quite the opposite; it’s just that we have much more confidence in the power, disruption, and consistency of SP, as seen in our percentage of SP to non-SP play. You might’ve also seen my own SP bias ooze out in the above recommendations, and there’s a good reason: out of the seven events I’ve played this year, I’ve used only Luxchomp and Dialgachomp…Nothing else! – All Haunter SF. My metagame was unusual at the time, since there was a great deal of hype for Mewperior – hence the high Haunter SF count. However, as the true metagame – as well as the worldwide metagame – would reveal, I ought to have considered a 2-1 or 1-2 Stormfront/Triumphant split in lieu of this. This is a minor facelift to the deck, though, as your Haunters really come into play in weirder scenarios, such as against Umbreon and Mewperior. For now, I endorse a 1-2 SF/TM split. – Smeargle. Smeargle gives you a lot of nice things, including a boost to consistency, a supplementary target for Power Spray target, and another way to decide when to Poltergeist over Shadow Room. But when you actually PLAY games, you’ll realize how much better something else is to keep active. In addition, Smeargle demands Unown Q to be effective, and the rest of your deck is very Unown Q-hungry. 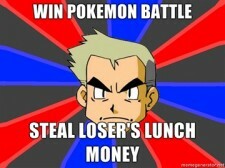 – Professor Oak’s New Theory. Unlike the other changes, this one was fairly likely to happen. As you may have read in the Vilegar VIP article, I was highly unsure of this tweak, and after some more serious testing, I decided to go back to Copycat, which was in the original testing list. As for the count, I’ve reduced it to accommodate for all of the major tweaks in my new build. – Luxury Ball. Seeker makes my Luxury Ball playable under Vileplume conditions, but that is a conditional I can no longer bank on. This spot is obviously better as a Twins. – Crobat G PL. this was a decision I made to account for the far less favorable time scenarios of the City Championship season, and I feel totally justified in having gone with that back then. However, now that the top cut rules are more favorable for Vilegar, you might not consider this inclusion essential. Still, it’s always a solid starter, and is your only way to OHKO those pesky Uxies and Azelfs – a trait explored in part three of this article. – Seekers. 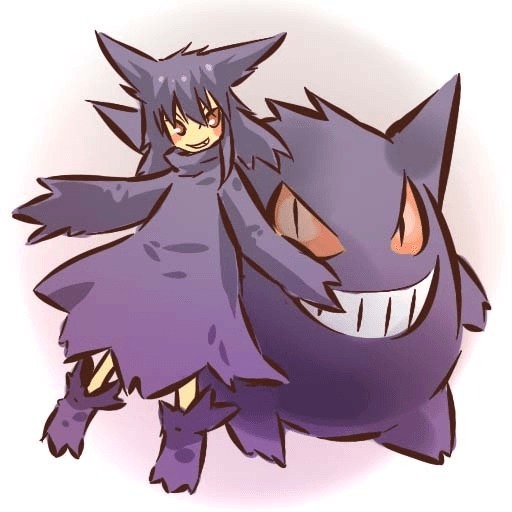 These have very high utility in Vilegar variants, mainly because they aid in the swarming of Gengar In tandem with Rescue Energy, two Seeker can give the same Gengar great mileage over the course of a game, and keep it running for much longer than it should have. Unfortunately, these are relatively weak early game cards in Vilegar, so you might not be too keen on keeping them, especially if you’ve cut the Crobat G a long time ago. Plus, running these “and” Twins is too much pressure on the already-clunky deck. – 7 Psychic. It’s a solid move for spatial constraints, but I find the count to be somewhat clumsy in operation. Plus, it places an extra burden on your mid-game swarm to hit a Psychic, and can be fatal in a sudden death scenario. (You’re probably going to lose sudden death due to the nature of this deck, but I am NOT interested in “helping along” a loss). – 3 Gengar Stormfront/1 Gengar LV.X. In this particular build, I should have gone with the 2 Stormfront/1 Prime/1 Gengar LV.X split, but for Vilegar in general, this is the optimal way to run it. 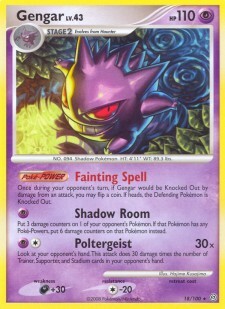 Since Vilegar is notorious for its clunkiness, running three Gengars ought shore up the reliability of the deck, making the core combo of the deck – Allergy Flower/Poltergeist – ever-reliable. – 3 Broken Time-Space. Due to the time rules, I initially feared the sacrifice in speed. But as further testing showed, running one less Broken Time-Space isn’t such a big problem: against Luxchomp/Sableye/Chen Lock, you’re likely going to keep your BTS on the board the whole game; in most non-SP games, you’re going to be up against a deck utilizing BTS itself; and against Dialgachomp, a weak matchup, there’s a decent chance you may be locked out of it sticking no matter your count (due to Deafen or their own Stadiums out-countering yours). – Rescue Energies. I’m not sure if this was a revelation from the Gods at the time, or a no-brainer, but either way, I’d like to stress how good this is for Vilegar. It’s going to keep you running strong in every matchup, but most importantly it’s going to help solidify your already-good Gyarados game. The count could be two, or three, but nowadays I feel it is vital to the equation of this deck. – 1-1 Blaziken FB LV.X. At the time of writing this article, I largely underestimated the power of Twins in this deck, and Blaziken is a prime example. As a power tech throughout Cities and States, it did what I expected to, but most lists didn’t need Rainbow; rather, all it took was a single Fire, and a high enough Twins count to pull off. – 1 Froslass GL. 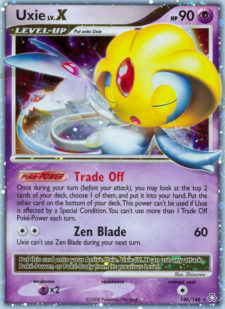 Like Blaziken FB’s Luring Flame, but only much more splashable, Froslass GL found its way into several lists nationwide. The only problem with this card (and Luring Flame on Blaziken) is that due to the natural flow of a Vilegar game, your opponent is oftentimes predisposed to not benching any high Retreat Cost guys, such as Bronzong G or Regice. Plus, more and more non-SP lists are running big counts of Warp Energy, so it’s even harder to make something stick with these cards. – 1 Uxie LV.X. Consistency is shaky in this thing, and one way to instantly boost your consistency in a deck is to include Trade Off. While it suffers from the same general problem that Smeargle does (ideally wanting an Unown Q attached), you do not have to constantly switch back out for it, so just one shot at the active position is enough to keep it going. – 1-1 Mewtwo LV.X. Unlike Mewtwo LV.X in Luxchomp, which I wasn’t shy about advocating, I feel like Mewtwo LV.X here is inappropriate right now. Dialgachomp has risen since States, and nearly all Sablelock/Chen Lock variants have moved on to using 1-1 (or even 2-2!) Honchkrow SV. Even against Luxchomp it’s questionable: many lists are already running counters, and thanks to the Seeker trick, you might not even see it last if you aren’t running Seekers of your own. The only reason why it works so well in the Luxchomp mirror is because you run enough cards that can be safely “evacuated” to route out the Seeker counter. Here, though? Not terribly viable. However, if your area’s SP are mostly Luxchomp, and they don’t run counters, it still might not be a bad option. Give it a try and see what you think! – Ditto LA. Mostly good for other decks to tech against Vilegar, you could still run it in a Vilegar of your own to shore up the mirror. This kind of choice makes the most sense in a metagame like California, though, so choose your spaces wisely. – 1-1 Blissey PL. This card actually makes a lot of sense on multiple levels. 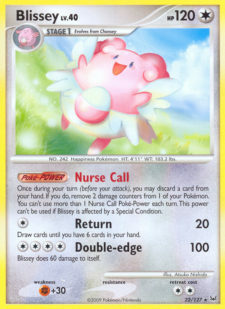 For starters, it’s a hefty Pokémon capable of heavily messing with an opponent’s math; that is, it utilizes Nurse Call to take Gengars out of Psychic Restore range (a Fainting Spell-dodging technique), and is a supplementary source for consistency via its seldom-used “Return” attack. Out of all the techs listed here, this is the one I would most highly recommend running. My testing has shown nothing but love from this card. – 1-1-1 Machamp SF. Don’t get me wrong: I “do” like this tech still. 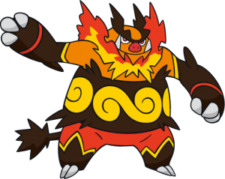 But unlike Blaziken, which fits relatively seamlessly into Vilegar, it will take significantly more work – and space – to make it happen for Machamp. This may actually require the Rainbows to work; otherwise, you’ll be caught by an untimely Ambipom G Tail Code…Right to the gut. Do you want that? Do you want a Pokémon, whose lifeline is GUTS, to get hit in the gut? Do you want the Superpower Pokémon to get disabled by that? I sure hope not, because if you do want that, then you’ll be insulting one of the finest Ken Sugimori characters of all time. And if you do that, then, well, that’s just terrible. – 1 Mr. Mime CL. Your bench is going to be clogged, so I think that unless you run Seekers, justifying this card will be hard to do. Looker’s Investigation and old-fashioned intuition should do you the trick most of the time. – 1 Call Energy. A fascinating inclusion by longtime Gengar player Jason Klaczynski, his cited logic for choosing Call is to replace the lesser utility of Warp Energy #3 for the sake of better start options in approximately 10% of games. Is 10% enough of a reason to justify this choice? Mathematically, yes, especially since Vilegar is one of those rare decks capable of using Call to some decent effect past turn one. Regardless, I don’t think it does enough to solve Vilegar’s bigger problem, and that’s the dilemma of bad starts. – 1 Gengar Prime/1 Lost World. 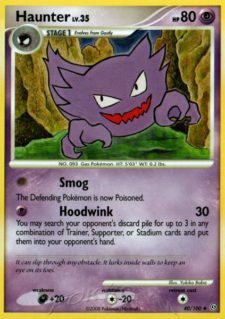 Last of all we have the “secret win condition”: tech copies of Gengar Prime and Lost World, thereby giving you the contingency plan to win via the Lost Zone. Personally I view this strategy as a gimmick, and would never endorse it over just running Lostgar/Vileplume with a Gengar SF tech. Everything about the list is commonplace and explained at this point, but the Energy count will prove shocking to some. I have good reason to include these in their respective counts, though: eight Psychic assures timely attachment of colored energy; three Call assures that the effect actually works in a game; and 2 of each for Rescue and Warp assure that you get at least one good play of each per game. Granted, those last two don’t feel as comfortable now in their respective counts as they did half a year ago, but you can fix this by A) playing your Rescue/Warp drops more prudently; and by B) including Seekers, to allow reuse of the Warps. My starts are the best that they’ve been in ages with Vilegar, so if you’d like an additional testing consideration for Regionals, then consider this. – More Dark? The false alarm of Lostgar ushered in a swarm of Sableyes, Absols, Honchkrows, Weaviles, and other unsavory attackers out to get your beleaguered Gengar Stormfronts. 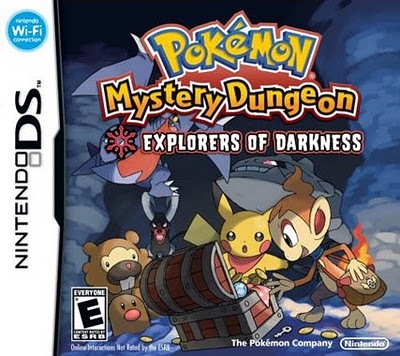 While Sableye and Honchkrow are here to stay, I doubt that you’ll see them in the quantity you did during States, so feel a little more at ease knowing that. This singlehandedly makes me feel uneasy about the two Rescue Energy count, however, so if there’s trouble coming from these efficient Gengar killers, consider finding room for Rescue #3: even if it becomes your sixteenth energy, or you drop down to 7 Psychic, the decision could be well worth it. – Magnezone/Regirock is an unfavorable matchup. Remember when I said that Magnezone as a matchup can vary dramatically? I meant it. And now that everyone is running the “right” list, its momentum is going against Vilegar. Without going into too much detail, I feel that, through the access to an easy Fainting Spell answer (Skuntank), plenty of ways around advanced “Lure” techs such as Blaziken, plenty of healing, and an efficient way to dump your hand of any locked Trainers, Magnerock is going to give any hopeful Vilegar players a lot of trouble. In assessing Vilegar’s chances once the Black and White expansion is released, we will be working on a lot of conditionals: what format we have if there is a mid-season rotation; what cards we have if there are any unlisted promos; and what fallout we have if there are any banned cards. 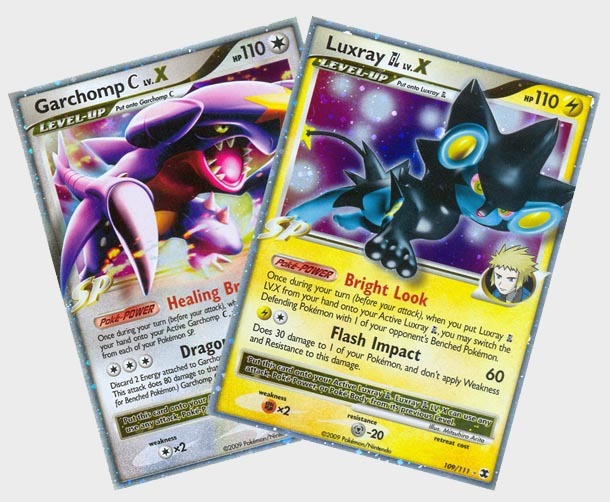 Although I personally doubt none of the aforementioned will occur, the three most requested cards for a ban, community-wide, have been Sableye Stormfront, Crobat G, and Uxie Legends Awakened. I don’t know about you guys, but as a Vilegar player, I would be ECSTATIC to see any one of these go away. 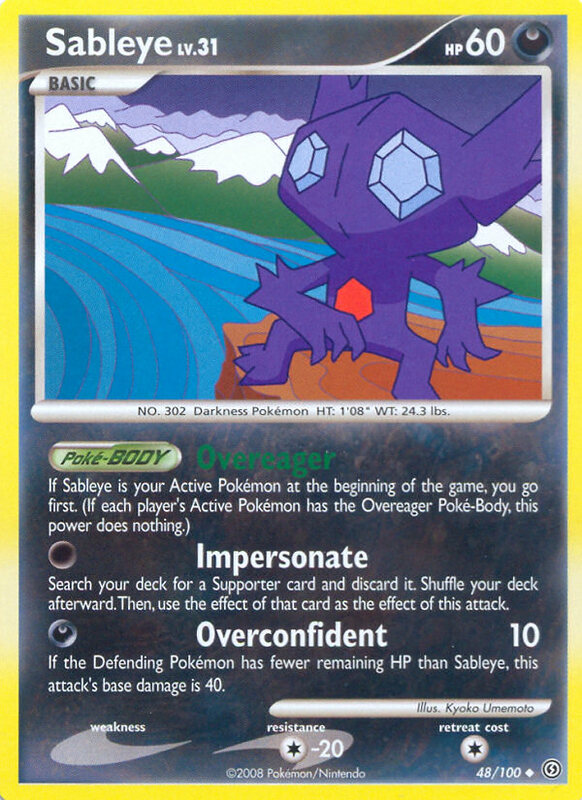 Sableye is – right now – the scariest card to a Gastly on the first turn of the game… Which will happen a lot more now thanks to the new rules allowing for Trainers and Supporters on the first turn of a game. As for Crobat G and Uxie, they’ve been thorns in the side of Gengar Stormfront’s Fainting Spell for over two years, and are two of the easiest ways for decks to play around it. Sure, Vilegar losing Uxie’s Set Up would be very painful, but I have a gut feeling that the deck would survive somehow. As for the unconditional here-and-now of Black and White, I see several cards hurting Vilegar. For starters, every card in this set with an “Ability” in place of a “Poké-Power” is one less viable target for Shadow Room, and the less Shadow Room targets Gengar has…The worse it gets. BulbapediaNew Emboar #20 (the one not in the starter decks) has a particularly devastating one that allows your opponents to, with no limit past their very deck size, charge up attackers to their hearts’ content. 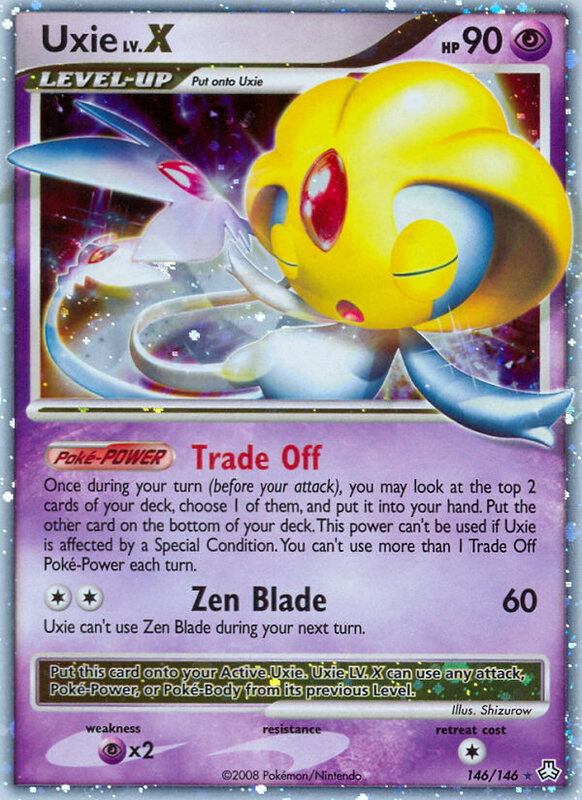 This means that previously meager cards – such as Forretress Legends Awakened – become lethal joke weapons, Iron Shelling away Vilegar’s entire board. It also doesn’t help that every SP variant gets Cinccino, a highly versatile Colorless attacker capable of dealing 120 for just a single Double Colorless (that means a new edge in the mirror, and an easy way to set up a Fainting Spell-free KO on Gengar). Oh, did I mention that Pokémon Catcher is not going to be in the set? You know, that card you were counting on your opponent to run four of in his list, only to have to stare down your Spiritomb? That hope’s dashed. Or that Professor Juniper, which will be in the, can discard whole hands – i.e., unplayable, Trainer-clogged hands – for seven new cards? Yeah, I guess even cheap wins might be dashed for it. Granted, I don’t see Vilegar getting hit too hard by this set, but little I hear makes me feel confident in it the way that things stand: if things are kept the way that they are, then the deck is certainly going to get hit hard, and – worst case scenario – if there’s a mid-season rotation, then that instantly spells the death of the “Gar” in “Vilegar.” Not good. 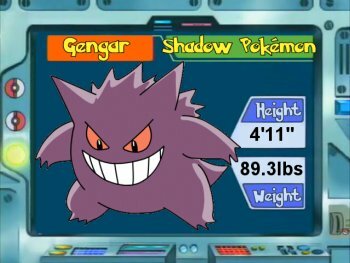 While that may be a bit of a downer note, we do have Regionals to look forward to; and if this really is Gengar Stormfront’s last hurrah, for one reason or another, then this is your chance to make it shine. So whether you choose to play Vilegar, Lostgar, SP, Magnezone, or something completely different – that’s all up to you in the end. 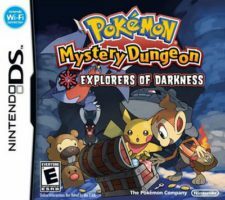 As for you United States and Canadian players: I’m sure you’re anxious about what Black and White will mean for the bigger picture down the line. 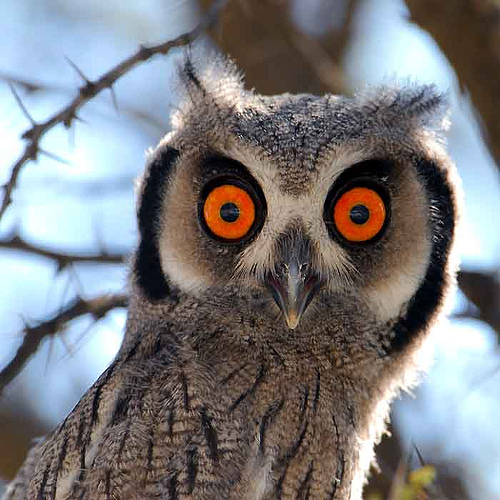 Nevertheless, you need to keep your eyes on the goal, and take home that big prize. Our European friends can wait on us for being excited about the new set – we’ve got Regionals to win!